PENANG, April 9 (Bernama) -- The government has been urged to take firm action on the manufacturers and distributors of imitation spare parts of motorcycles and scooters. "The matter should not be viewed lightly. There should be no compromise," said Motorcycle and Scooter Assemblers and Distributors Association Malaysia (Masaam) chairman Datuk Syed Mohamad Aidid. Imitation spare parts could endanger users, he told a press conference, here Monday where he announced the association's plan to carry out a study on the connection between the use of imitation spare parts and road accidents. "We will discuss with the Road Transport Department and universities to undertake the study," he said. 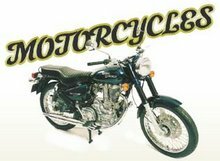 Presently, there about seven million motorcycles registered in the country. It was reported that the Domestic Trade and Consumer Affairs Ministry seized imitation motorcycle spare parts worth RM20.2 million from 1999 to last year.